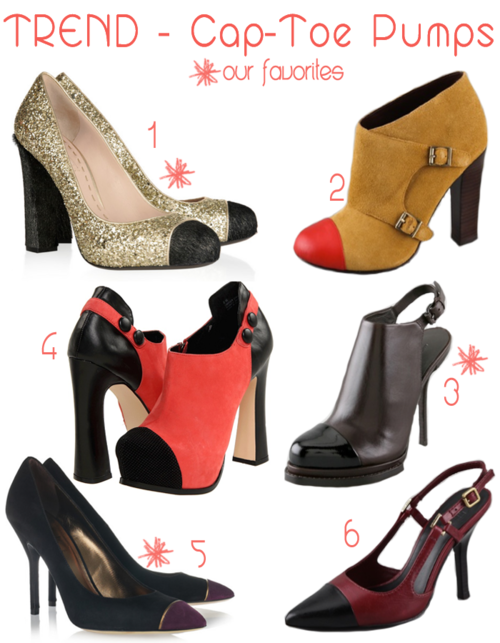 Seeing a big surge of cap-toe and two-toned pumps in the newest shoe collections and we love it! This trend is very wearable as you are able to pair it with at least two colors in your closet. Definitely try to invest in a good pair if you can!